At the outset I’d like to say that I’m not gay. None of my friends are gay, and I don’t have any gay family members. This issue has little to no impact on me personally, but there are many people out there who feel alienated and abandoned in a so called “free” society just because of ignorance, stupidity, and bigotry. I’d like to tell all of you a story about the inventor of the modern computer. Meet Alan Turing. The man was not only a genius but a hero as well. During World War II, he built an early computer which cracked Nazi codes and literally saved the free world. But there was one problem — he was gay in a world which would not accept that. After admitting having had sexual relations with another man, he was convicted of “gross indecency” and given two options. He could go to prison or take female hormonal injections to cure his supposed inordinate libido. He went with the latter and began to develop breasts and other female attributes. Falling into a deep depression, he laced an apple with cyanide and committed suicide at the age of 41, next to one of the computers he helped create. 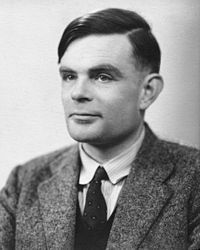 Turing was literally murdered by his own society simply for being who he was, after liberating people who were being murdered for who they were. Talk about irony. So next time you’re on the computer playing video games, surfing the internet, or texting on your fancy iPhone, remember that the core principles governing how they work were created by a tortured gay man who had to commit suicide because the world would not accept him. Remember his tragic story and think of how much we lost. Had he lived a longer life, I’m sure he would have had many more things to add. You may think you’re alone in thinking our leaders these days are nuts. You’re not. Their approval rating over this past year hovers around 10-15%. Everybody hates them. When this first came up, I was hopeful. Maybe there are a few decent men and women left in Congress after all? Nah, who was I kidding. The amendment was silently removed and the politicians are hoping we won’t notice. Well, a few of us who keep up with these things noticed and we’ve been screaming for years about the Patriot Act and the NDAA. However, I can testify first hand that nobody cares. I loathe that man’s existence. Fear-mongering imbecile. Should we close down Guantanamo Bay? “We’re at war! Al Qaeda’s bent on our destructionz! Are you crayzie? We can’t have civil liberteez in this day and age!” No, how about you shut up. They haven’t attacked us in over ten years. The American people have spoken you say? Yeah, they’re speaking directly to you in each of your videos comments. I’ll post them for you. Yep. They hate uz for our freedumz so we dun gotta take em’ away before the terrahists get em’ furst! You know what gets to me? The average man or woman has all sorts of opinions, but they’re always related to things that don’t matter. They know about every movie and every role their favorite actors have played. They know all sorts of complicated statistics related to their favorite sports teams and players. They play games like World of Warcraft and know about every spell, buff, and the stats of all this equipment. These political issues are way easier to understand than any of that. It’s not that people are too stupid to understand what’s going on. They just don’t care, and if we don’t put a little effort into learning about these things, people like Sen. Graham are going to flush our freedom down the toilet.